Your country is in grave danger, but you may be ignoring the warnings. Roy gives a penetrating look at just how war comes into being. The truth of his perspective becomes vividly clear when he says, "I have never been afraid in my life", something an appeaser would know little about. 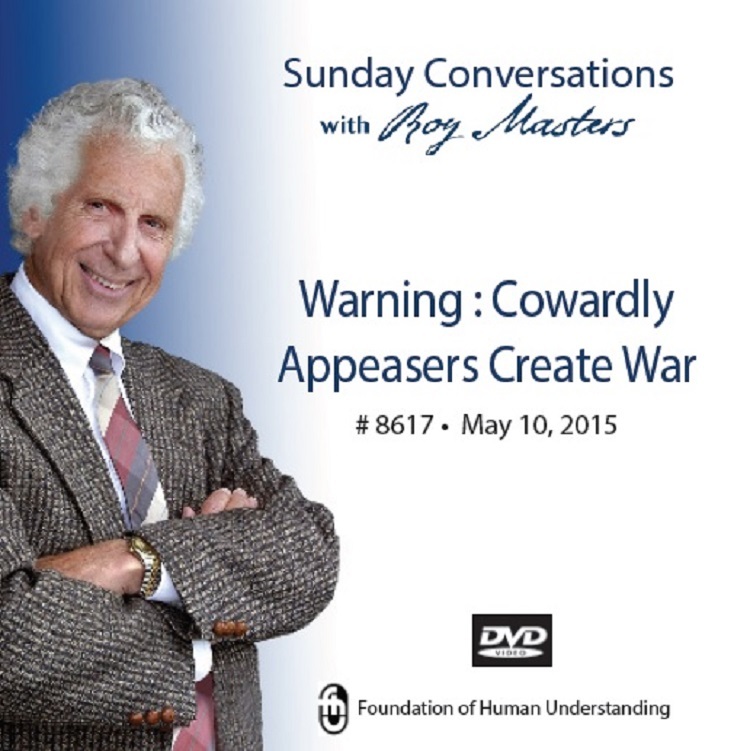 After telling the truth about appeasement, Roy looks at the cure. Like a spiritual boot camp, the subject is tough, but Roy soon takes us to the higher ground of virtue and courage. He shows that you have within you all you need, and then reveals not only the secret of life but he gives new meaning to what it means to endure to the end.